Classes/Islamic Studies - Masjid Muhammad of Atlantic City Inc. 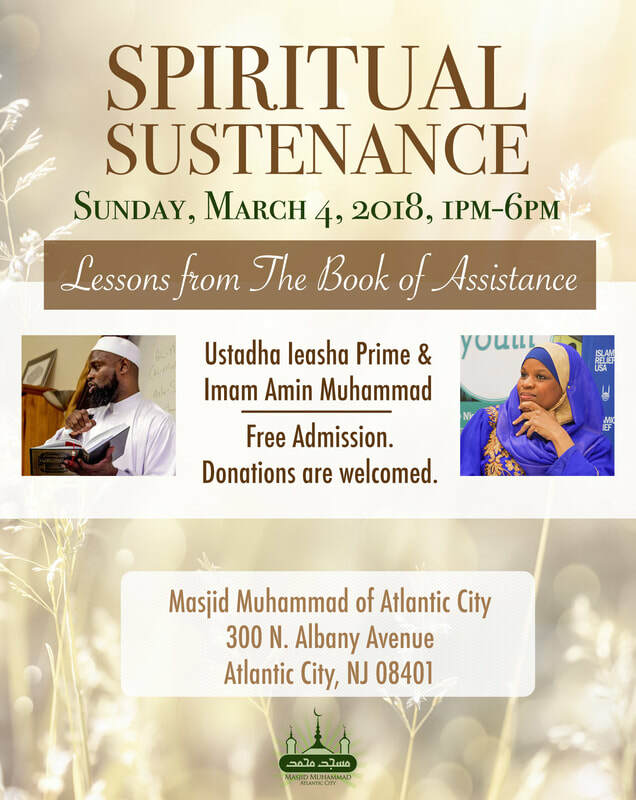 Description: Ustadha Ieasha Prime and Imam Amin Muhammad teach the monthly “Spiritual Sustenance” series on lessons from the Book of Assistance. This is a highly recommended book for every Muslim who wishes to become stronger in practice and faith. It is written by the great twelfth century scholar, descendent of the Prophet (peace be upon him), and ‘renewer’ of Islam in his time, Imam ‘Abdallah bin ‘Alawi Al-Haddad.